Glenn Irwin says ‘every option is available’ for 2019 as his future in Paul Bird’s Be Wiser Ducati squad comes under increasing scrutiny. The Carrick man, who guaranteed his place in the Bennetts British Superbike Showdown for the first time at Silverstone, looked poised to continue with Bird’s team for a fourth successive season next year after an extended agreement was announced at Knockhill in June. However, MotoGP rider Scott Redding has been increasingly linked to the team after losing his premier class ride with Aprilia. At Misano last week, Redding confirmed he had an offer on the table to join Cumbrian Bird’s BSB team in 2019, although the British rider’s preferred option is to secure a Moto2 ride and remain in the Grand Prix paddock. 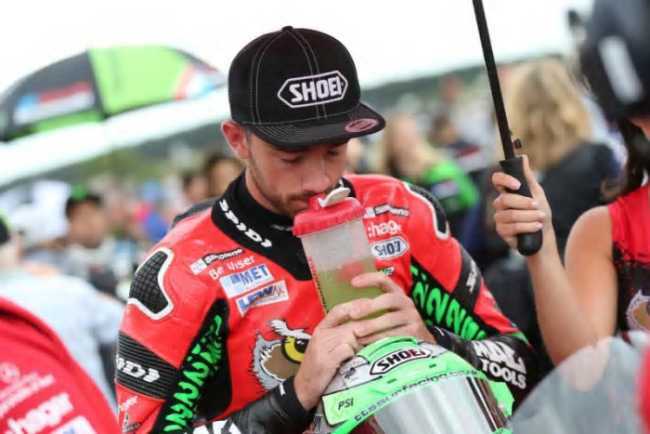 Six-time champion Shane ‘Shakey’ Byrne – ruled out for the season after suffering serious injuries in a crash during testing at Snetterton in May – does not appear to be in the running to return to Bird’s team, even if he does recover sufficiently to be able to race next year. And should Redding arrive in BSB, there is now uncertainty over who will join him. Irwin, though, told the News Letter he would be the master of his own destiny. “This time two weeks ago the situation was playing on my mind. I was sick of reading reports that my job was in jeopardy, especially after getting a fourth and fifth at Cadwell after suffering a dislocated AC joint in practice,” said Irwin, who was a double Superbike winner at the North West 200 in May. “Now my future’s clear, every option is available. This decision will be my decision – I will pick the most competitive option to win the BSB title in 2019. His younger brother Andrew, who was drafted into the PBM team after Byrne was injured, is also in the mix to retain his seat next year. The BSB Showdown commences this weekend at Oulton Park.